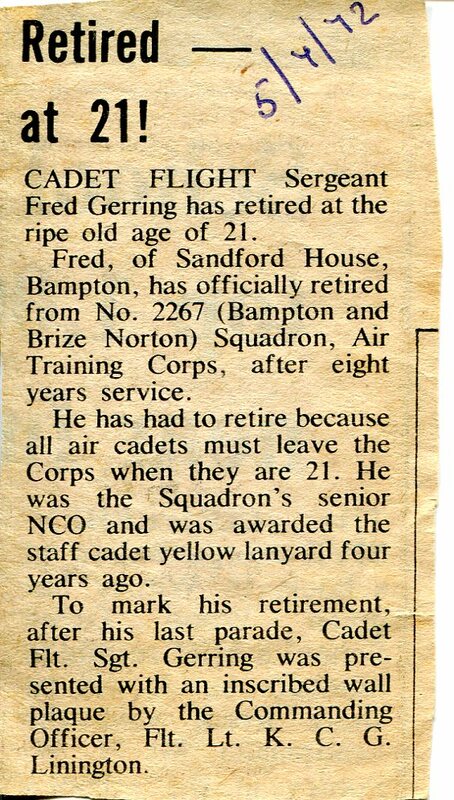 Cadet Flight Sergeant Fred Gerring, son of Rose and Arthur Gerring retired at age 21 from No 2267 Bampton and Brize Norton Squadron, Air Training Corps, after 8 years of service. 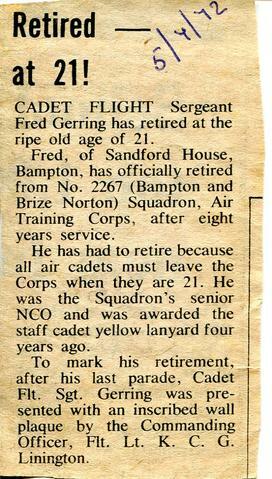 He had no choice because all cadets have to leave once they are 21 years old. He was presented with an inscribed wall plaque by the Commanding Officer, Flt. Lt. K. C. G. Linington.